Mr. Ramkissoon says the association continues to plead for better housing and infrastructure. He says the fire stations are old and in need of upgrades. Speaking with Newscenter 5 just moments ago he said last nights fire just confirms what he has been saying. 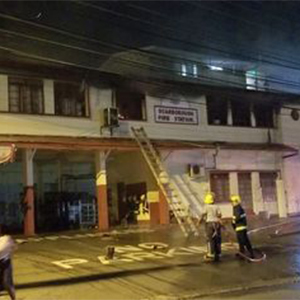 Mr. Ramkissoon says the fire officers now have to operate from a temporary location due to the damage. The exact cause of the blaze is yet to be determined.